Connect deeply with nature and your unique role in this world. Join us for a medicine walk, an ancient nature practice that builds relationship with the wild land and the wild parts of ourselves. By expanding our awareness and becoming more receptive to the wisdom that lies within and around us, we gain a deeper sense of belonging in the world and unlock our gifts, resources, and purpose. In this two-hour walk, allow your sacred story to unfold in co-creation with nature and in ceremony with a small intimate group. Ages 16+ only, please. 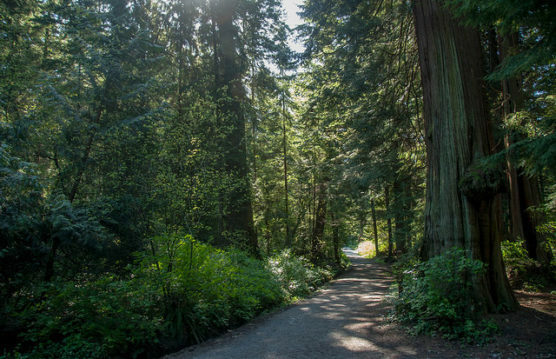 This afternoon is an introduction to day-long walks on April 8th and May 6th in North Vancouver. For more info please contact Elisa at: elisa.naturework@gmail.com. The day-longs are limited to 8 participants so please get in touch soon! Elisa Lee has been promoting people’s personal development in collaboration with nature for the past 15 years. She is a specialist teacher in ecological education, self-care facilitator, and gender empowerment guide. Elisa draws on teachings from Joanna Macy, Animas Valley Institute, The School of Lost Borders, The Haven, Nonviolent Communication, and her personal sacred experiences in the wild. She holds a Masters degree in Environmental Education with a focus on women’s rites of passage. Her newest offering is Fire & Flower, a coming-of-age mentorship & ceremonial program for girls. Daniella Roze is an ecological educator who designs and delivers transformative education through nature-based mentoring, leadership, rites of passage and wilderness survival. Daniella works as a teacher and curriculum designer at Fresh Air Learning and is the founder of Thriving Roots Wilderness School. Through her work with School of Lost Borders, Animas Valley Institute, The Haven, Wilderness Awareness School, and The Living Wild Project, Daniella has come to realize that her passion lies in supporting people on the courageous journey of authenticity and meaning, while working toward strengthening community and building resilient culture.